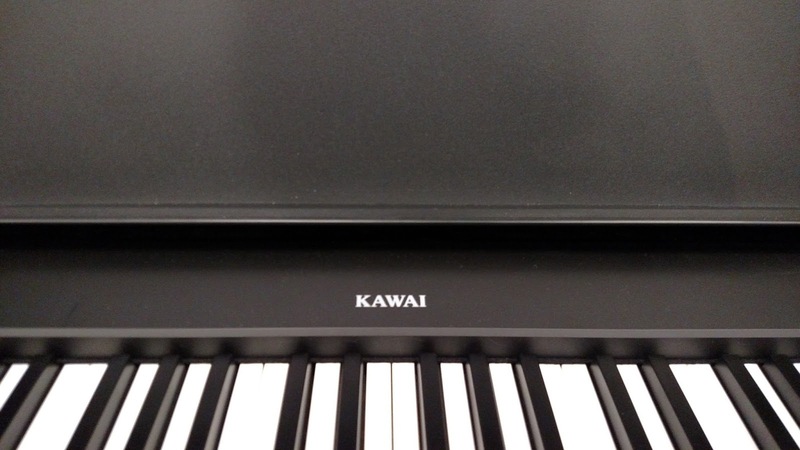 🎹 UPDATED REVIEW - February 1, 2019 - Kawai ES110 Digital Piano - Recommended - The Kawai piano company (international headquarters in Japan), which is well known around the world for building home and professional acoustic upright and grand pianos along with a vast array of home and pro digital pianos, has just come out with its new upgrade to the former ES100. The ES110 ($699US internet price not including optional furniture stand and triple pedals) comes in a satin black color along with availability in a satin white color (same price) as well. The cabinet and panel design looks pretty much identical to the prior ES100, but don't judge a book by its cover:). Kawai's goal was to improve the piano playing experience on this portable piano over the previous model (which was already good) along with better connectivity to external devices, and after personally playing this new piano many times, in my opinion they have achieved both goals. (Click on pics for larger views). The previous model ES100 was very good, but this new model ES110 is outstanding for its low price. In my opinion it offers the most realistic piano playing experience in key action, piano sound, and pedaling of any portable digital piano from any piano brand under $1000 right now. It isn't a "perfect" digital piano but for its low price comes pretty close. I recently got a chance to play this new ES110 and the key action was more responsive, quicker and even more enjoyable to play, the dynamic range, expression, and tonal color of the "acoustic" grand piano sound along with its overall organic qualities were improved in a noticeable way and are better than any other brand in this price range in my opinion, and that is saying a lot. The damper sustain pedaling response with long sustain decay time just made the whole thing come together in a harmony of piano playing elements that really "floated my boat" so to speak. However, it is the new key action now called RHC (Responsive Hammer Compact) that really made it more obvious to me that the ES110 was on another higher level than any portable piano before it in this price range. Even though the keytops don't have the simulated ivory/ebony feel that some other portable and cabinet models do, the ES110 keytops resemble more the acrylic feel of actual acoustic pianos for the last 40 years since real ivory and ebony haven't been used on real pianos in decades. I do like the simulated ivory/ebony keytops of other digital pianos but that doesn't mean I need to have it or that it is a reason not to buy the ES110. The keys feel great, move very well, and make you want to continue to play the ES110 for long periods of time...a real winner. I would consider the key action hammer weight to be medium-light as opposed to medium or heavy. My preference is for a key action to be lighter instead of too heavy. On the ES110 keyboard my fingers just flew across the keys but those keys were still heavy enough to allow my to get good key movement and expression along with nice key control and response. So as far as I am concerned this key action is a lot of fun to play although perhaps for some people who play well and prefer a heavier key action, this one may not be for them. But for the vast majority of people out there looking for a great playing experience in this price range, the ES110 would be my choice for quick, responsive key key action that won't become fatiguing or wear you out. Put all that together and have it run through the vastly improved internal speaker system of this new model and the piano sound you hear is more "alive and organic" and projects more naturally with even greater volume than the previous model through its own internal speakers. There are obviously many good portable digital pianos under $1000 including Yamaha P125, Yamaha DGX660, Casio PX160, Casio CGP700, Casio PX360, and Roland FP30, and even though all those models definitely offer some good features and you can certainly play piano on them, in my opinion the new Kawai ES110 is a superior instrument if you are mainly focused on playing piano and want the most realistic piano playing experience in a portable digital piano under $1000. For those of you who actually play piano already, if you had all these pianos side by side lined up next to each other and played them (or listened to someone else play them) in my opinion you could immediately tell the difference with the ES110 being the "standout" among those models for playing piano. 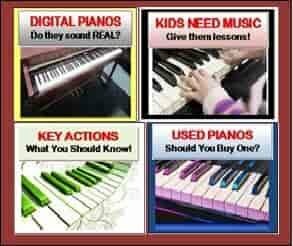 If you do not play piano and are really just a beginner in the world of piano, then you could likely be happy on any of these digital pianos I mentioned as they are all good in their own ways. But when it comes to especially the acoustic piano sound, no other portable in this price range comes close in my opinion to what a real good acoustic grand piano sounds like. Also, the ES110 does not exhibit the brassy (twangy) nature of at least one of its competitors, the Roland FP30. This is partly because Kawai still uses its proprietary 88-key sampling method where they sample every note independently (instead of stretch tuning) for all 88 keys so that every time you play a song that piano sound is as natural as can be for every note and the transition of one note to next is more evenly distributed unlike the competitors such as the Yamaha P125 in my opinion. No other portable digital piano under $1000 has 88-key individual sampling that I know of. Also, the stretch tuning curve (how the original acoustic piano was tuned by a technician) is very good in my opinion and sounds real without being stretched too much as is not the case with the Roland FP30 in my opinion. That one sounds a bit out of tune sometimes depending on the notes and chords you are playing together, but the ES110 does not. The ES110 piano tonal and volume dynamics are very wide (expressive), with a smooth, balanced tonal response over the 88 keys, and sustains well over a longer period of time, especially for this price range. All of this is a recipe for a very pleasurable playing experience regardless of whether you are a beginner or a more advanced player. 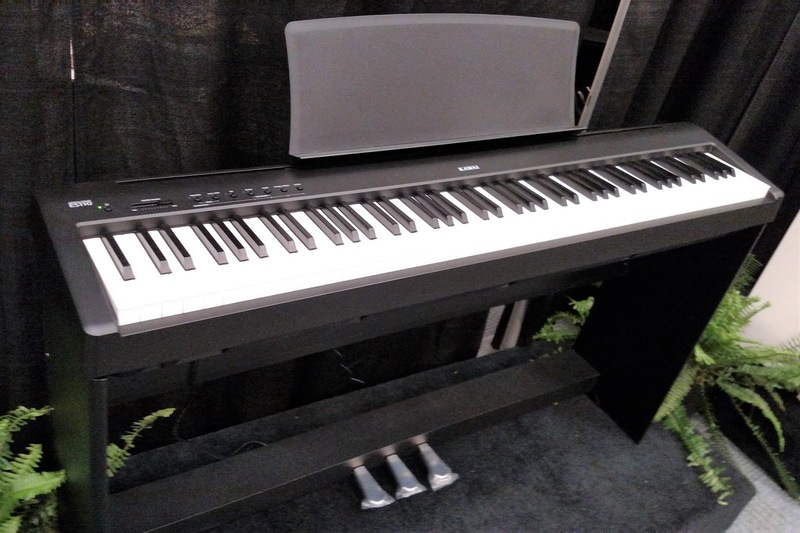 So when it comes to selecting a portable digital piano under $1000, in my opinion the Kawai company has "hit a home-run" (again) with their ES110 piano just like they did with their previous ES100. Some of the other new features on this model that the prior ES100 did not have is the addition of separate 1/4" audio outputs to connect to external sound systems, amps, and speakers. 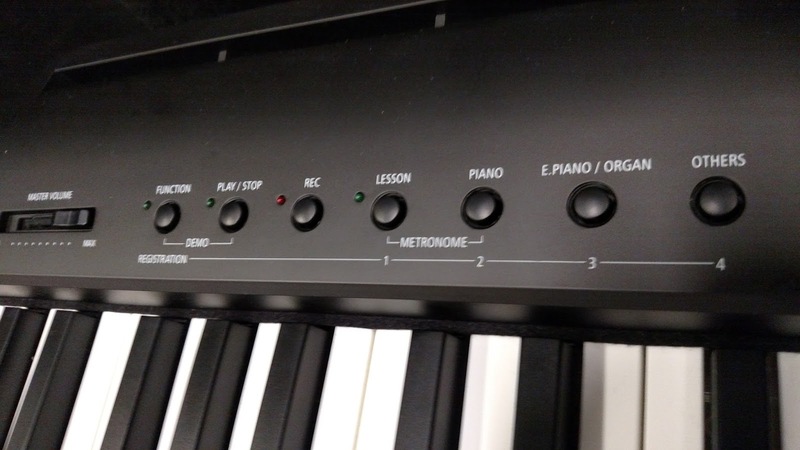 On some other digital pianos there are no outputs so you would need to use the headphone jack to accomplish a outside connection. However, the headphone jacks output the sound in stereo and this can sometimes be problematic with trying to send that signal out to a mono sound system or two mono speaker monitors which is normally the case. A stereo signal can create phasing problems trying to convert to mono so the addition of two 1/4" audio output jacks is a very welcome feature in this new model. As far a MIDI connectivity goes, there are two standard MIDI connectors in the piano as before, however I would have much preferred a USB to external host instead but Kawai decided to stay with standard MIDI connections which is good to connect some older MIDI products (keyboards, sound modules) to it, but it's not practical when connecting the piano to current tablet and computer hardware although you can purchase an optional MIDI to USB cable so that you can connect from the MIDI connectors to an external device USB port input. I think Kawai certainly could have done better on this one when they opted to keep the old MIDI connectors, unless they would have included a USB port as well. 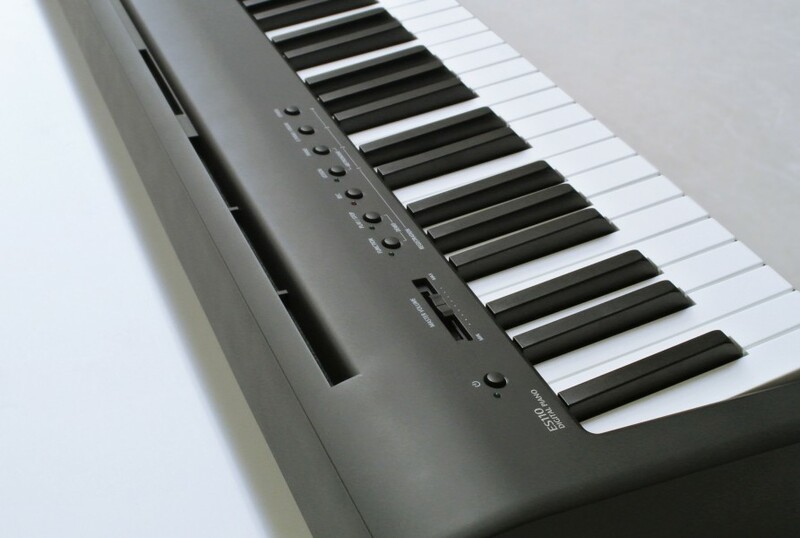 However, to their credit, Kawai made up for the lack of USB connection by including a new Bluetooth function that allows the ES110 to wirelessly connect a MIDI signal to an iOS or Android tablet for working with educational and instrument apps without having to connect a cable to the piano. This is a great feature and works well as long as the app/function you want to connect with on your tablet/phone is Bluetooth compatible. 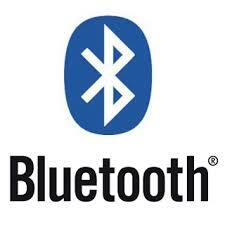 Their definitely are good Bluetooth apps for iOS devices but not so much with Android. That's just "life in the big city" as they say. The ES110 Bluetooth function does not stream a wireless audio signal like a few other digital pianos do even though I would have wanted that feature as well, I think the Bluetooth wireless MIDI connection is very useful and something that I would take advantage of considering I do a lot of teaching/music education in my studio and use my iPad quite frequently to interface with some exciting music apps that add to the joy of learning and playing piano. In the world of lower priced portable digital pianos, there has been demand for these instruments to be as lightweight as possible so that it is easier to carry or transport. 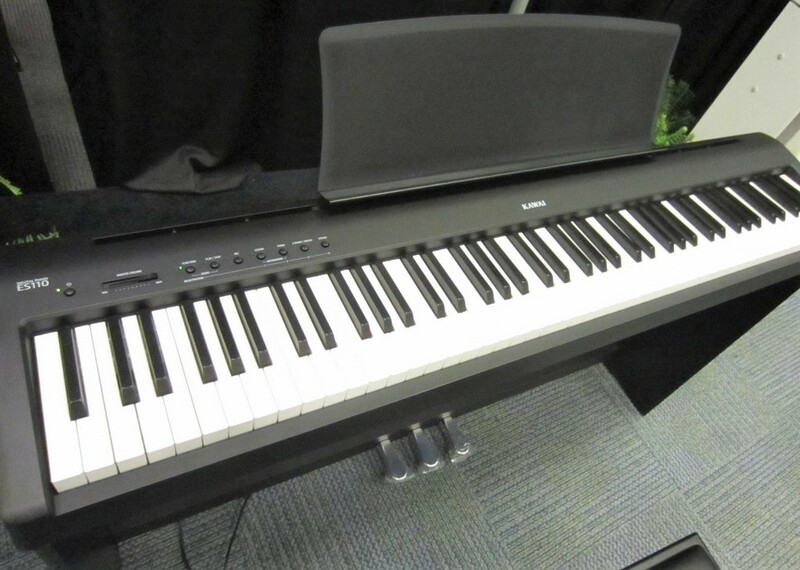 The prior ES100.was 33lbs in weight while the competitive Yamaha and Casio portable pianos were 26 lbs each in weight models with the competitive Roland model being 31 lbs in weight. However Kawai has been able to reduce the weight of this new ES110 to just 26 lbs in weight which then lines up with the other brands with the exception of the Roland which is still at 31 lbs in weight. Apart from weight they are all fairly easy to carry with regard to size dimensions but having the piano at just 26 lbs in weight means that Kawai has finally given people something that is lightweight to carry, especially in a carry-case. In terms of instrument sounds on the ES110 there are a total of 19 "voices" which includes 8 acoustic piano sounds, 3 electric piano sounds, 2 organ sounds, 2 string ensemble sounds, 2 bass sounds, a harpsichord, and vibraphone bell tone. There have been noticeable upgrades to these instrument sounds where they are more natural and authentic than on the previous model and it shows. Very impressive was my experience playing each sound and they are far more realistic than any other portable digital piano in this price range...absolutely no comparison. If you think I am being overly "gushy" or positive about these sounds as compared to the competitive models, then you would be wrong. I am just stating what I know...the competitive models are good, but with regard to these specific types of instrument sounds, Kawai has definitely gone past the "other guys." Adding to the realism of these sounds are very nice reverb effects which open up those sounds so that they have even more "body" to them than other reverb effects systems on other brands and models in this price range that I have heard. Kawai just did a very good job in offering quality effects that when used on these sounds make everything that much more real. The quality and ability of the acoustic piano sound and playability to be of higher quality is partly due to the amount of polyphony that is in the sound chip that is in the piano. 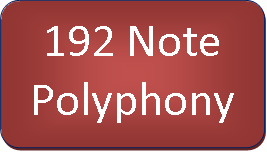 The ES110 has 192 notes of polyphony which is a large amount of polyphony processing power, and that higher polyphony does make a positive difference when playing the piano especially when layering or splitting two instrument sounds at the same time, especially if those sounds are in stereo which they are on the ES110. Other popular brands of portable digital pianos such as Roland and Casio have 128 notes of polyphony while Yamaha also has 192 notes of polyphony like the Kawai ES110 on their portable models. So when it comes to polyphony (how many notes can be played at one time including pedaling sustain and any layers), the ES110 has the highest in its class and is tied with Yamaha in that way. The pedaling ability of this piano is equally impressive especially for those who already play piano and know how important damper pedal response can be to the music you are playing. The ES110 (like its predecessor) includes a very realistic looking and feeling single damper sustain pedal that also triggers a half-damper pedal effect which simulates the way a real acoustic damper pedal works with variable amounts of sustain when the pedal is pressed down rather than just on & off like the other single pedal digital pianos in this price range. The complexity and realism of the damper sustain and damper resonance when playing the grand piano sounds was very surprising to me because I did not expect it to be so good and so natural, especially for something in this lower price range. Actually, given that the grand piano sounds have each note individually sampled from a real Kawai 9' grand and that the sustain maximizes the potential of those notes sustaining together in a way that really sounds "life-like," you might actually think you are playing a huge grand piano, particularly when listening through a good set of stereo headphones or through external monitors. It really is pretty amazing and surpasses anything I have heard from the other brands in this price range in that way. 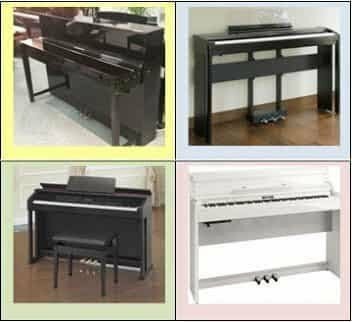 Kawai also offers an optional triple pedal furniture attachment that connects to the ES110 optional furniture stand to make the piano look and function like a small acoustic piano. For most people the ES110 can simply be played on a less inexpensive metal stand which can be purchased on-line or in a local store and the included metal piano sustain pedal is all that most people will need for pedaling purposes even for advanced players. So what other interesting features does this new model have? Sometimes when the previous model has some good things on it you want to see those things carried over into the new model and this is the case for the ES110. It retains some of the nice sound editing features of the previous ES100 which include being able to split and layer 2 instrument sounds at one time, to change transpose key, reverb settings, key temperaments, tuning, touch sensitivity adjustments for key action sound response, metronome settings including tempo, time signature, and volume along with having 100 drum rhythm patterns for fun tempo training including a variety of jazz, rock, Latin, blues, country, and other drum patterns. The only negative I see is with the split function because it has a pre-set split point for left & right hand separation and is not changeable. For most people this will never be an issue because they won't be using the split sound function, but with a few people who use the spit function often and perhaps play at a higher skill level, then you'll need to decide if you can live with the way the ES110 handles this situation and where the split point has been set up by Kawai, which may or may not be to your liking depending on which two sounds you'll be using. Beyond those editing functions, the ES110 has a vast array of piano "virtual technician" features to enable you to customize the piano sound by editing organic elements of that sound which include being able to select and adjustment the damper resonance, hammer (sound) voicing, hammer fallback noise, damper noise, and sound brilliance. All of these piano editing features allows for customizing the acoustic piano sounds in a way that may be even more authentic to your ears so that you can have and hear the organic elements of the acoustic piano sound in ways that other digital pianos cannot do. However, the 8 preset piano sounds on the ES110 are generally more than enough for most people who just want to turn on the piano and play piano music without editing or doing anything else to the sound because those extra organic features are already in there. So whether you just want to play the piano sounds exactly the way they are or you are a bit more curious and technologically motivated, "you can have your cake and eat it too" as the old saying goes when it comes to having and playing really impressive acoustic piano sounds on the new ES110. It is important to note that when trying to use the editing features on the ES110, like the ES100 before it, those features are not necessarily intuitive to use and it does require using a chart in the owners manual to know how to access those functions by way of pressing an editing button and then pressing specific keys on the keyboard which then triggers that function/feature. There is no LED or LCD display screen to indicate what function you have selected or if it is really on or off or modified in some way. The only way you can tell is to listen with your ears to hear if the change has occurred or not and that you selected the correct one. For me that kind of process is unintuitive, somewhat cryptic, and not user friendly. Unfortunately many digital pianos use this method of sound editing and I do not particularly like it. The way around this is to include a display screen of some type on the control panel or have an iPad app that displays the control panel and lets the user interface with an iPad to control functions on the piano through an easy to use app. Some piano brands including Kawai (on higher priced models) have apps like this but not on the ES110 although you can use the Kawai Virtual Technician app for iOS so you can do editing of the piano sounds in a variety of ways that can customize your very own piano playing style. That app does not let you control general features such as transpose, layer, slit, etc so you would still need to do that on the piano itself. But the Virtual Technician app is really very cool, works well, and is a nice addition in what you can do with the ES110. The ES110 has a recording and playback feature that allows you to record up to 3 songs of your own and save them in the piano. You can then play them back to hear what you did and how it sounded. The recorder is 1-track only which means you cannot record left and right hand independently as some other digital pianos allow you to do. I would have preferred 2-track recording but most people who record their practice songs on the piano play with both hands at the same time so having just 1-track will likely be sufficient. There is no USB flash drive port for saving and loading songs so that is a feature I would like to have seen. But at least the ES110 can record and playback a few songs at a time until you erase those songs and start over, and that may be enough for you. One of the more interesting and useful educational features on any of the good portable digital pianos in this price range is what Kawai offers on the ES110. 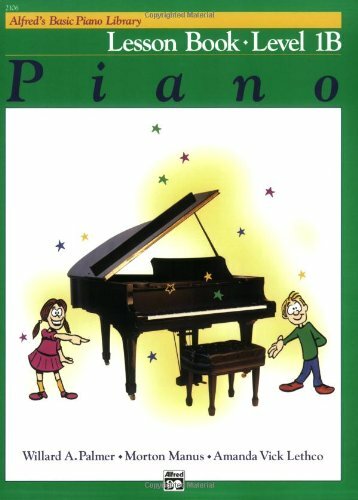 With cooperation from the famous Alfred Music Publishing company, Kawai has built into this piano 2 of Alfred's most popular lesson book lesson book song libraries called Alfred’s Basic Piano Library Lesson Book Level 1A and 1B along with Burgmüller 25 Etudes Faciles, Opus 100. 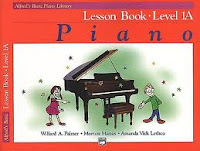 The way this educational feature works is that you purchase optional lesson books for this built-in song library and then you can play these songs back at any speed (slowing it down when learning) and hear those songs play both left and right hand piano parts while looking at the music in the optional book(s). Beyond that you can play back the left and right hand parts of the songs separately one part at a time to isolate those parts to hear how the left and right sound when played back by themselves which is very helpful for practicing those songs which include titles such as happy Birthday, Jingle Bells, Old McDonald, Yankee Doodle, Oh When the Saints, Sonatina, and many more. Also while playing back either the left or right hand part of the song by itself, you can play the opposite part "live" along with the part that is playing back so you have something to play against like you would with a teacher and it helps with rhythm & timing and makes you sound better than you are:). The Burgmuller Etudes (an Etude is a short instrumental musical composition of considerable difficulty and designed to provide practice material for perfecting a particular musical skill) song library includes songs such as Arabesque, Ave Maria, Tarentelle, Pastorale, and others. 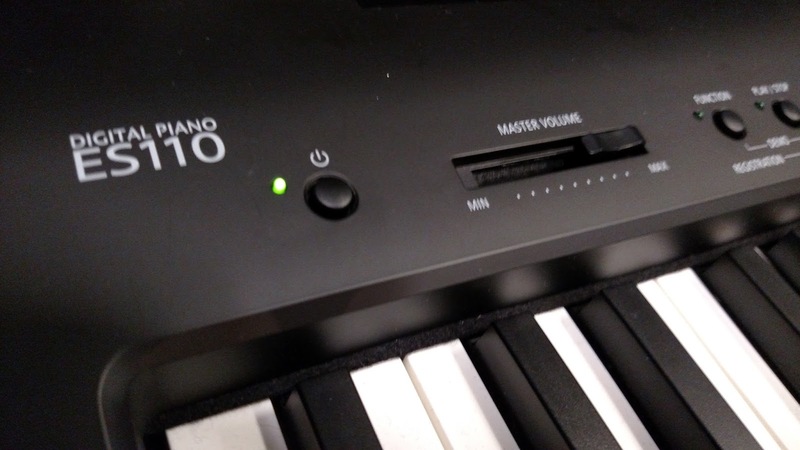 Additional useful features and functions on the ES110 include being able switch on and off the internal speakers, having the ability to save your favorite sound and feature setup so that when you power up the piano that memorized setup is what you get until you change it to something else. If you ever. Something that I use all the time in digital pianos is registration memories. This feature allows you to save up to 4 of your favorite sound setups including layers, splits, and other sound setups and then select them from a touch of a button on the control panel. This is great feature when playing live music in a church, venue, or even at home when you do not want to search for another instrument sound on the piano or do additional sound editing and you just want to play your favorite sounds and switch to them quickly while you are playing, so I like that feature very much and some digital pianos do not offer registration (sound setup) memories. 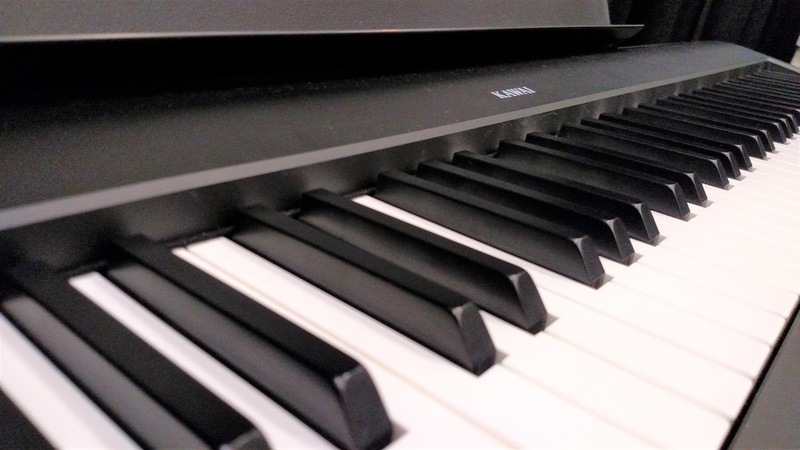 In the final analysis, given the fact that the new Kawai ES110 sounds great, has a very enjoyable piano weighted/graded key action that moves quickly and smoothly, that's all that most people are looking for. However, the ES110 also has the realistic pedaling response with a very realistic amount of sustain time and sustain volume with included full size damper sustain pedal. It offers improved external connectivity to plug into external speaker systems properly including having dual stereo headphone jacks, solid easy to use control panel buttons, has auto-power shut off control that shuts down the power (which you can set for time) if you leave the piano on by mistake, and has a long 3 year parts/3 year labor factory warranty. I think it also has an attractive case with nice clean lines, a supportive music rack, and is lightweight and easy to carry. What more could you want for the internet price of $699US:). Even though its piano cabinet is much lighter weight than the previous model, it seems to be built more solid and sturdy and could hold up well when needing to transport and move around often. In my opinion Kawai has pretty much jumped ahead of the pack again and actually for what it does and how it plays as a piano it should be selling for at least $899US instead of its $699US in my opinion...that's how good it is as a piano in my opinion, and I am not easily impressed. You can study the all the specifications on these various pianos for a long time but it's not until you play them can a person know for sure. I rarely trust any manufacturer's specs or product descriptions because they typically quite skewed. It's not until I play and examine it for myself do I know for sure. My suggestion is, if you want to get a lower price portable digital piano closer to $500 and stay under $1000 that focuses on pure piano playing while still offering a useful amount of "extras," you should do yourself a favor and buy this new Kawai ES110 because in the long run it will be more than worth the price and you'll have something that even an advanced player can enjoy as well as a beginner. It is something you can keep for a long time, but that is not to say that you the ES110 offers near as much of an authentic piano playing experience as a portable digital piano in the higher price range such as the Kawai ES8 ($1649US internet price). But for what the ES110 offers and the upgrades put into this model from the last one, Kawai has again hit a big "home-run" in this price range (as I previously mentioned) for a very satisfying piano playing experience that will put a big smile on your face when you hear and play it:). totally different. The RHC is a noticeably lighter touch, 2 key sensor, not as solid, no counterweights in keys, and is like comparing a toyota corolla with a Lexus as far as key action and sound piano sound chip goes. However in my opinion the new RHC action is more authentic and more enjoyable to play than any of the other brands in this price range in my opinion, so that is what is really important. Could you give a more detailed explanation of how the ES 110 sounds through the new speakers? Are the speakers louder? Are they better ported? Do they more faithfully reproduce how the piano would sound with headphones? All three? Do they fill the room better? Does the ES110 have escapement similar to the Roland F140R/FP30? I was sold on a Yamaha P115, then got a chance to play with an F140R and it felt better to me than the P115. I didn't even notice the escapement when I played it, but later came back and read about it on your blog here. I'm going to be somewhat budget limited so I won't be looking at an ES8 or anything of that level or higher. Do you think the ES110 is a better feel than the F140R/FP30? Hopefully Guitar center will have both in stock so I can go mess around with them and make a decision. The Roland in that price range is the only piano to have escapement. However it is "simulated" and not actually like a real piano in that way. Also the "escapement" feature has nothing to do with the weight or fell of the key action on digital pianos. The Roland key action has a good weighted feel but is a bit heavier than most. The Kawai ES110 key action is very good, moves faster, and is less fatiguing to play for longer periods of time. Both pianos are good but I much prefer the new Kawai with regard to overall piano playing enjoyment along with a more organic piano sound and tonal expression. Do you think it is worth the upgrade for current owners of ES100, in terms of sound and key action? The connectivity options and lighter weight are not so important for me. Hi Tim great review. I need a piano vst controler , I have a px160, would you recommend to upgrade to something like the fp30 or the es110 or some good midi controller with a good piano action in this price range? Thanks for the review. Do you think that the ES110 is an overall better piano that the Yamaha P115? I am more interested in your thoughts regarding which is closer to an acoustic piano sound and feel. I have played both and found the ES110 has a softer less vibrant sound than the P115, not better just different. The action to me (albeit a beginner) seems better on the ES110. Would appreciate your thoughts. Hi, Tim. Many thanks for your elaborate reviews and for taking the time to answer the comments. How does the key action compare between ES110 and KDP90/CN14? 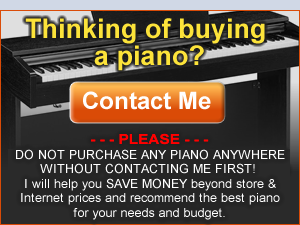 I was trying to look for a good digital piano under 1,000 and I read a lot of your reviews about the different brands and models of digital pianos in that price range. Initially, I was planning to get the Casio Privia PX780 until recently when I read your review about the new Kawai ES110. Although they are a few cons, I'm intimidated to get it over the PX780. I do like the protective key cover on the latter, which is nice, because I have a little boy at home. I couldn't make up my mind here. Which, in your opinion, is a better digital piano between the two? 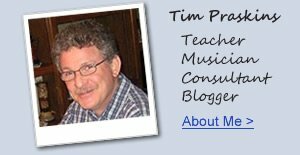 HI Tim...Over the past 30 years that I have known you, I have found you to be knowledgeable about musical instruments, especially those digital instruments. The Yamaha PSR 2100 and 2300, the FB-01 Tone Generator and Yamaha SY-88 along with the Korg M-1 were some of the earliest that I recall talking with you about and over the years you have been a great source of information. I have learned to trust your instincts and information about instruments. You are providing a priceless service for those of us who NEED to know BEFORE we purchase! Thanks! I've picked up a Kawai ES110 much from reviews like this. Replacing an old family upright that never could hold tune in our last move to a quality portable made more sense. You've mentioned that while many iOS apps exist, that Android apps supporting the Kawai ES110 are minimal. 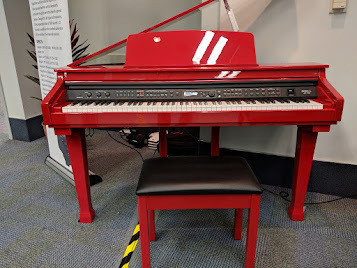 What would be the best learning apps using Windows 10 or Android which connect to the Kawai.... and Is there any software (Windows, Android) we can get to control the Kawai ES110 as a player piano for nice listening music or even inspiration for our kids? My 8 year old is beginning piano lessons this fall. Hi Tim, Is it possible to compare the touch sensitivity and feel between the Kawai es110, and the yamaha p255? I live outside the USA, and have to buy blind. Hi TIM, i'm torn between these 2 DP's.. KAWAI ES110 and YAMAHA P115..
P115 has lots of features also when it comes to a wireless connectivity, but pricey compare to es110... as per to your thoughts, es110 has a better GRAND PIANO sound like..
can you pls help me choose between these 2..
and what APPS can i use in ES110 with a bluetooth connection.. ? THANK YOU TIM. I bought the ES110 this summer so I could practice when I travel since it is so light. It sounds awesome when connected to headphones.. Absolutely love playing it. I practice on a Kawai MP11 when at home.. Kawai does good for me. how does it compare with ES7? I have the same question as the last. Which is better: a used ES7 in very good condition or a new ES110? Hi Tim, amazing in-depth review that finally sealed my fate to buy this baby. I just wanted to add that meanwhile there are some real good apps from Kawai like Virtual Technician and Sound Museum that both make it fairly easy to tune the sound of your ES 110 with a graphical interface via bluetooth. Tim, After extensive research on both this site and many others, I decided to purchase the ES 110. I am a beginner but wanted to get the best piano I could afford and it came down to this one and the ES 8. Both where being offered at a discount but in the end I still could not justify the ES 8. I have been playing for at least 1/2 hour 5 days a week and have been having a blast. The piano makes the practice fun. I spent 6 months playing on a "keyboard" but now with the ES 110 I am really making progress. I have been using the onboard Alfred lessons and am almost through the first book. I will explore the best option for continuing lessons after I complete the second book. Thank you so much for taking the time to write all these reviews especially for those of us who do not know how to play and what we should be looking for. This piano sounds great and feels amazing. I will continue to pray for your grandson. Are there older used models that might be worth looking at when concidering a new purchase of the kawaii 110 (atleast any that come to mind)?